The Tripyramids are located in the Sandwich Wilderness and of the three summits two of them are official 4,000 footers (North and Middle). The summits are wooded although Middle Tripyramid has two decent outlooks on the summit. 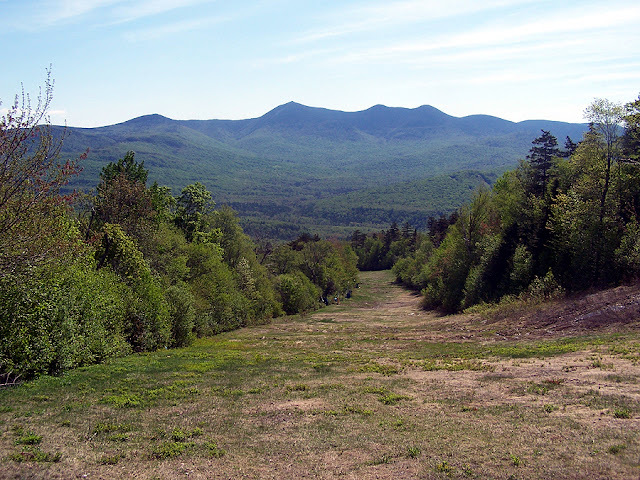 There are a couple of different hiking options to reach the summits, from Route 112 (Kancamagus highway) you can take the Sabbaday Brook and Pine Bend Brook trails which are pretty tame and in the woods the whole way. From Waterville Valley - Tripoli Road - Livermore Trailhead you can hike a loop via the Livermore Trail to the Mount Tripyramid Trail through steeper, tougher, and more fun North and South Slides and take in the magnificent views while climbing up and down the slides!